Michel Foucault: Ways of Use. *This issue is only available in Bulgarian. This article traces certain meanings of the concept of moral insanity that were used, discussed and criticized in Bulgarian cultural-historical context from the end of the 19th century to World War II. First, key elements of the term moral insanity and its variations within the Western psychiatric discourse are outlined. Then, the analysis sheds light on local constructions of the morally insane as an object of normative definitions, (popular-)scientific discussions, (forensic-)psychiatric conclusions and medicopsychological critiques of social life. Through a fusion of biological and social norms, projects for “social defense” and moral hygiene were targeted at the (dis)qualification of individual and collective subjects: the morally endangered child, the criminal monster, the degenerate social and political elite and even the morally underdeveloped people/nation. The article examines the biopolitical potential of the strategies for and the practices of “normalization” (M. Foucault) of moral danger. Gergana Mircheva holds a PhD in Cultural Studies from Sofia University “St. Kliment Ohridski”. She is lecturer in Medical Anthropology within the Social Anthropology Program of Plovdiv University “Paisii Hilendarski”. Her research interests are in the fields of social sciences of medicine and eugenics, biopolitics, modern Bulgarian cultural history, and urban studies. She has publications in Bulgarian and foreign editions, including: “The City and “Degeneration”: Eugenics and Modernization in Bulgaria from the Beginning of the 20th Century to the Second World War” (Critique and Humanism 1-2/2013; in Bulg. ); “Regimes of “Degeneration” and “Regeneration”: Eugenics and Modernization in Bulgaria before the Second World War” (Regimes of Historicity in Southeastern and Northern Europe, 1890 – 1945, 2014; in Bulg. ); ““Health Qualification” for Military Service in Bulgaria (1878-1939): Standards of Medical Fitness” (Sociological Problems 3-4/2014; in Bulg.). This article is an attempt at a sociological reconstruction of the identity of the dangerous recidivist or pathologic criminal – a juridico-medical subject who possesses a hybrid constitution of criminality and psychopathy – as it was constructed in the Bulgarian penal practice. The analytical problem, which guides me here, is: how the power’s system of cognitive relations between the juridical concept of “recidivism” and the medical notion of “pathology” work out through the bipolar medium of the criminological term of “danger”. There are three discourse conditions of possibility for building a similar subjective constitution: on the one hand, diffusive scattered particularities of the character-behavior of the law violator were condensed, subordinated, generalized through the psychological concept of “personality”. On the other hand, the real capacity of the notion of “pathology” was optimally broadened; as such, it now covers not only the referent field of the illness, but also the “irregularly” constructed personality, which demonstrates itself publicly through typical antisocial features. The third discourse operation accomplishes on the juridical concept of “recidivism”; within the institutionally stigmatized identity of the recidivist, there is deposited completely biography and crime, dangerousness and anomaly, therefore criminality and psychopathy. Here, the biomedical concept of “instinct” is a fundamental bearer of the problem of anomaly or once more the engine by means of abnormal criminality find out the principle of its own coordination. In front of us is the dangerous recidivist or the pathologic criminal; within his/her social figure obviously appear in what manner law and medicine, application the criminal justice and explanation the psychiatric truth is impossible to function separately. Martin Kanoushev is Associate Professor at the Department of Philosophy and Sociology, New Bulgarian University, Sofia. He teaches Sociology of Power, Law and Medicine, and is the author of books and a number of papers in sociology. Managing editor of Critique and Humanism journal, and member of the Editorial Board of Sociological problems journal. The aim of this article is to illuminate and explore one core set of frames, constructed and mobilized by the respective activist organizations, around the issues of infertility and assisted reproductive technologies (ARTs) in Bulgaria. It argues that these frames are organized predominantly around the notion of “deservedness” of parenthood or, in other words, through the present and future investments of these parents (wannabe or actual) in the common societal and national enterprise. Since they have numerous resources to invest, they are citizens, deserving parenthood. In this representation, we clearly see how the individual struggle with one biological characteristic and the suffering it brings are interpreted in an economic regime of exchange, functioning in the same time as a normative order of parenthood and citizenship. Ina Dimitrova received her PhD in Social and Political Philosophy from the Bulgarian Academy of Sciences, Institute for the Study of Knowledge and Societies, and currently is Associate Professor in Social Philosophy and Bioethics at Plovdiv University “Paisii Hilendarski”. She is also honorary lecturer at Sofia University “St. Kliment Ohridski” within the MA Program “Integrative Bioethics”. This article examines contemporary forms and practices of parenthood. The main focus is on mothers who have regular access to Internet, good education and standard of living. The effort to understand new maternal practices goes through the Foucauldian concepts of governmentality and technologies of the self. The figure of the mother is discussed both as important for the biopolitical strategies of the modern family and as a main target of different parental suggestions. New practices devoted to the enforcement of child creativity and adaptivity are regarded as a means to achieve relative security and as a part of the process of inheriting social statuses. Empowerment of the mother is discussed as crucial in these forms of governing the self. Three topics are spotlighted as significant for the self-actualization of the mother and for bringing up ‘successful’ children. The importance of naturality, femininity and self-sufficiency and their specific interpretations and correlations are discussed. Maria Martinova is a PhD student in Sociology, Sofia University “St. Kliment Ohridski”. This paper presents the research results of a part from my dissertation „Health, Disease and Hygiene: Towards Social Construction of the Citizen Body in the Interwar Period”. In the dissertation, I conducted a study of institutionalization of hygiene through law. The focus of the article is the difficult process of institutionalizing hygienist-doctors in Bulgaria from 1878 to 1939. The final form of institutionalization is shaped by the biopolitical project of the interwar period. Veronika Dimitrova is Assistant Professor at the Department of Sociology, Sofia University “St. Kliment Ohridski”. She is a co-author of the book Portraits of Disappearing Sofia (2012; in Bulg.). Fields of interest: urban studies and history of medicine. This paper discusses the possibility of applying Foucauldian analytical tools in the study of socialist political regimes and societies. The main argument is that Foucauldian analytics of micro-power relations goes beyond both the totalitarian and revisionist paradigms which focus exclusively on repressive and ideological state apparatuses and see resistance to the regimes as exterior to them. By so doing, both paradigms remain caught in the so-called “repressive hypothesis” accentuating the negative character of power exercised in socialist regimes. Foucault, on the other hand, could give us a more contextualized and complex description of how power relations (and biopolitical techniques in particular) operate positively in concrete historical situations, producing knowledge and truth (not “false consciousness”), groups, individuals, and subjects that function in a constantly unstable (and thus historically changing) conjuncture of forces. Keywords: Foucault, socialism, totalitarianism, revisionism, biopolitics, techniques of power. Momchil Hristov is Assistant Professor at the Department of Sociology, Sofia University “St. Kliment Ohridski”. He is member of the Collective for Social Interventions (Sofia) and the Institute for Critical Social Studies (Sofia-Plovdiv). Author of “Figures of the People in Foucault: The People as Object of Power” (Critique and Humanism, 40/2012). Fields of research interest: political sociology, political philosophy, historical sociology of socialism, urban studies. Vladimir Gradev teaches Theory of Religion at the Department of Cultural Studies of Sofia University. He wrote Forces of the Subject. An Essay on the Philosophy of Michel Foucault (1990; in Bulg.) and five other books. Andrey Bundjulov, PhD in Philosophy, is Associate Professor at the University of National and World Economy. Member of the Institute for Critical Social Studies at Plovdiv University “Paisii Hilendarski”. He is the author of Heterotopias (1995; in Bulg.) and publications in the field of sociology of politics, sociology of history, economic sociology. Deyan Deyanov is Chairman of the International Directors’ Board of the Institute for Critical Social Studies at Plovdiv University “Paisii Hilendarski”. At the same university, he teaches Formal and Philosophical Logics, Logics and Methodology of Human Sciences, Classical and Non-Classical Rationalism, Introduction to Socio-Analysis, Historical Sociology of Economics, and others. He is the author of Introduction in Logics and Methodology of Human Sciences: Human Sciences after the “Death of Man”(2001; in Bulg.). He is the former Director of the Institute for Critical Social Studies and former Editor-in-Chief of Critique and Humanism journal. Alexander Kiossev, PhD, is Professor in History of Modern Culture and Director of the Culture Center of Sofi a University “St. Kliment Ohridski”. His research interests are in the sphere of research on reading, cultural history of communist totalitarianism, post-colonial studies and construction of identity. Recently he published the monograph The Quarrels about Reading (2013, in Bulg.). He was editor of the collective volume “Rules” and “Roles”: Fluid Institutions, Hybrid Roles and Identities in East European Transformation Processes (1989 – 2005) (co-edited with Petya Kabakchieva, 2009) and Post-Theory, Games and Discursive Resistance (1995). Since 2000, he has headed several international and national research projects dedicated to the Balkan cultures, reading problems and autobiographies about the period of communism. Daniela Koleva is Associate Professor at the Department for History and Theory of Culture, Sofi a University. Her research interests are in the fi elds of oral history and anthropology of socialism and post-socialism, biographical and cultural memory, biographical methods, social constructivism. She has published a monograph on the ‘normal life course’ in communist Bulgaria: Biography and Normality (2002, in Bulg.) and a number of book chapters and articles in peer reviewed international journals. 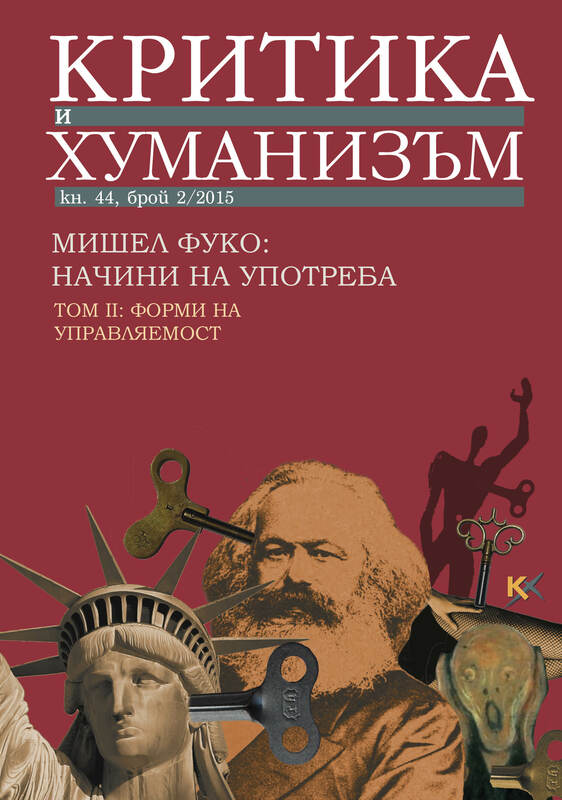 Last (co)edited volumes include: Love under Socialism: Models, Images, Taboos (2015, in Bulg. ); Death under Socialism: Heroics and Post-heroics (2013, in Bulg. ); Negotiating Normality: Everyday Lives in Socialist Institutions (2012); 20 Years after the Collapse of Communism: Expectations, Achievements and Disillusions of 1989 (2011, ed. with N. Hayoz and L. Jesien).